In Ehime, we have a support network called the Regional Advisor system (RA). 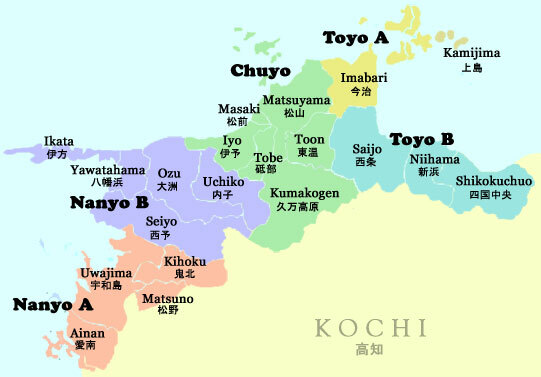 The JETs in Ehime have been divided into 5 groups based on the region they live in. Each region has an ‘RA’ or two – volunteer JETs who wants to help out other JETs in their area. The RAs can help you with many regional/job related questions – information on your area, ideas for teaching, traveling in/out of your region, services available etc. The RAs have lived for a year or more in their region and know what its like to be a 1st year JET there! Feel free to contact the RAs in other areas to find out about their region.